This is my first impression of the Travel Pack. 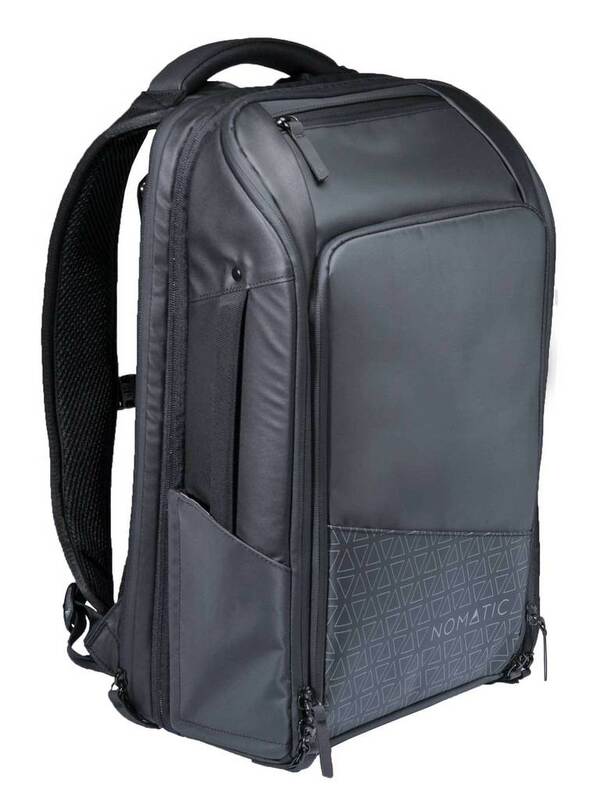 Nomatic has 3 bags that have very similar names: Nomatic Backpack (smaller everyday carry backpack), the Travel Pack (designed for 3-4 days of travelel) and the Travel Bag (large suitcase bag). I find that my needs for a daily use backpack is different then what I need for travel. I carry a lot more stuff when traveling (especially when it is with my family). I carry different things depending on whether I'm going to the office versus when I'm traveling so I can understand why Nomatic has different bags for daily use and short term travel. For my daily carry backpack, I use the eBags Professional Slim which I've been very satisfied with as my daily go-to-work backpack. 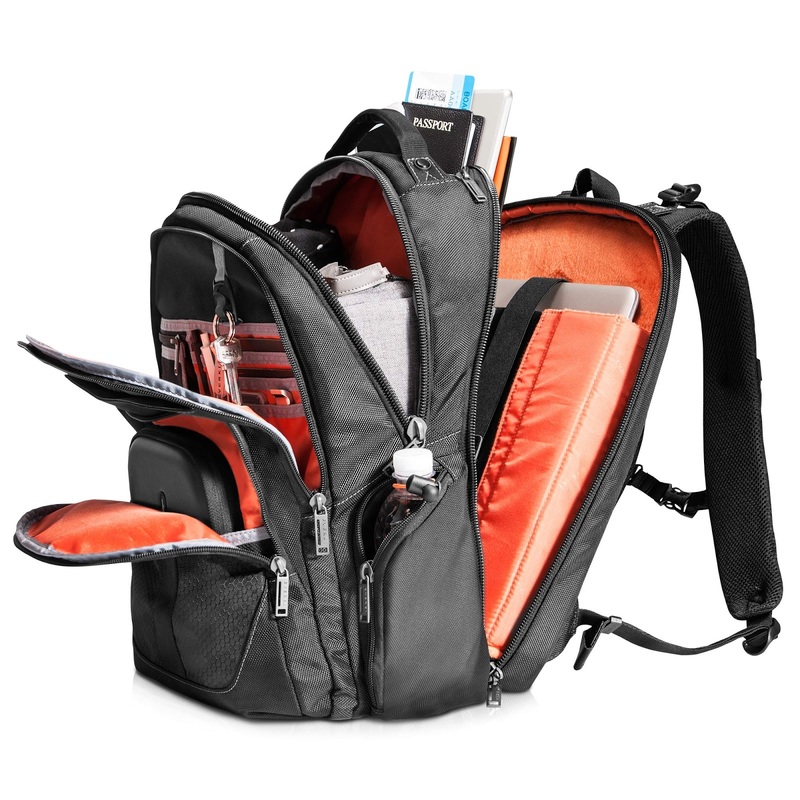 When I travel, I use the Everki Atlas backpack. It is a great, high quality backpack, but there are still some areas that I felt can be improved. 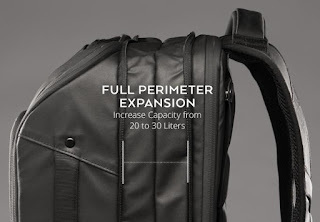 When I heard about the Nomatic Travel Pack, it seemed like it might be the backpack that addressed those shortcomings while still maintaining the features that I loved with the Atlas. The Travel Pack, as its name implies, is designed for traveling where clothes are packed along with needed gears (e.g. laptops, chargers and other accessories). 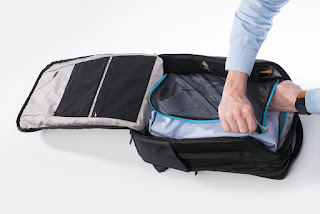 It opens like a luggage which makes it more convenient to pack but could be less convenient to get to items at the bottom of the bag when on the move at the airport or when it is sitting on the handle of your carry-on luggage. It has a front pocket where it expects the bulk of the accessories to be stored and there are mesh pouches lining the interior walls to hold other accessories. The main cavity of the bag is meant to be for items such as clothes. The Travel Pack offers a lot of organization by providing lots of pockets. There are multiple mesh pockets that stretches but it's not easy to see what is in them through the mesh. I find that the non-mesh pockets tends to be more for flatter things like paper. Along with the many pockets, the Travel Pack offers pass-through holes on the inside so you can have a charger in one compartment and run the charging cable into another apartment. This is a nice feature that keeps things looking more clean. A feature that I first experienced with the eBags that is a benefit for traveling and storage is the ability to tuck the backpack straps away so the bag remains compact. This is useful on a plane when storing the back under the seat or overhead compartment. 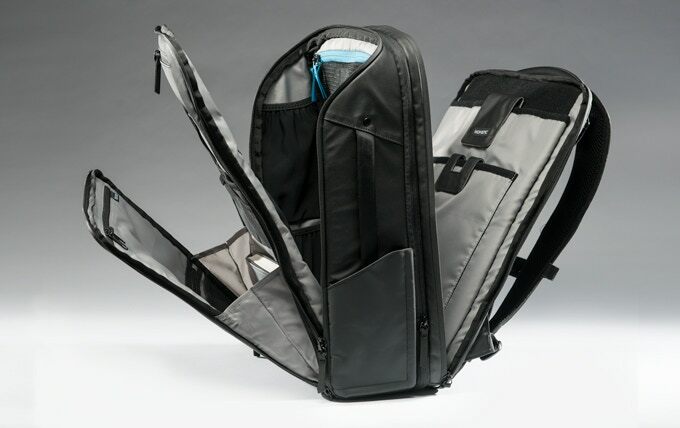 The Travel Pack is an improvement over the eBags since its straps can be tuck away faster since it doesn't require unhooking the straps first. The Travel Pack is more opinionated on what it thinks you should carry while the Atlas' organization is more flexible and general. I find accessing items to be easier with the Atlas especially for items that are at the bottom of the backpack. An example is the side pockets. The Travel Pack is designed to hold a water bottle and is magnetic so it snaps back into place when there is no bottle but other then a bottle, it's not as useful to hold other things. The Atlas' side pockets can hold bottles but can also be used as another spacious zipped pocket for accessories. For the Atlas, I ended up buying a rain cover since it had one open outer pocket that can catch rain water. The Travel Pack is water resistant and there's a cover over the zippers as well. The Travel Pack is more rigid in its shape. It's basically a rectangular box. The rigidity helps maintains its shape and allows it to stand up better. The downside is that access to items at the bottom of the bag is harder to access then with the Atlas which is more sloped so there is less distance to travel to reach items in its outer pocket. The materials on the Travel Pack is more stiff. While that has its advantages, it might not adapt as well as the Atlas. I've been on planes where the area under the seat had some obstacles (e.g. electrical outlet or life preserver) and the flexibility of the Atlas still allowed me to get it to fit there. I would say that I like the feel of the Atlas better. The top handle of the Travel Pack very big and thick. While it is cushioned like the Atlas, I find it a little too big. It might be harder to hang the bag from this top handle. The Travel Pack sits on its side when put on carry-on handle arm. This might make it less convenient to access items while it is on the carry-on. The Atlas sits up-right so everything is accessible the same way whether it is on the carry-on or sitting on the desk. I do find myself reaching in to the bag when it is on the carry-on mainly when I'm waiting at the gate for the plane to board. The interior of the Travel Pack is dark and grey. Many modern bags will use a different interior color to make seeing inside easier. I'm a big user of easy access top pockets where I throw things in quickly and want to take them out quickly. The Travel Pack's easy access pocket is shallow and somewhat tight. Beyond a phone, I'm not sure how much more it can store. I guess Nomatic believe that there are specialized pockets they expect users to use. Again, the Nomatic has opinions on where things goes while the Atlas is more general so it's pockets are usually bigger and deeper. The Travel Pack can be used as a daily carry. When not expanded, it's feels like the eBags in size which also means the interior cavity smaller. 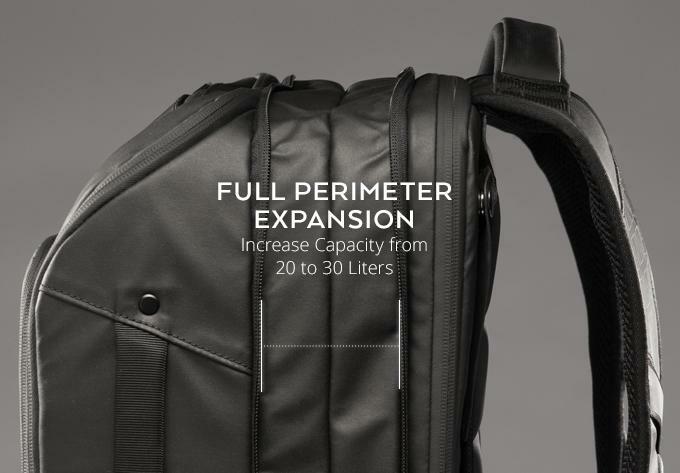 When expanded, it's much larger then either the eBags or Atlas but still within carry-on limits. For me, it might offer a dilemma. I use separate backpacks because I need to carry more stuff when traveling. The Atlas offers more space then the eBags, but not that much bigger. The Travel Pack might either be too big or too small depending on whether it is expanded.